As I begin writing this, I am lying awake on my last night in Brazil after three and a half weeks of work and play deepening my relationship with my work as a Rolfer® and myself as a human being. It has been an intensely beautiful experience being here with a great many more twists and turns than I expected. Nonetheless I still find myself reverting back to the descriptor I’ve used the past 5 months when clients would ask what I was going to learn which is “It’s basically Rolfing Camp”. And in many ways, it’s true. I just found this article by one of my classmates on the idea of Basics vs. Fundamentals (TL;DR – basics are easy and something you “get” and then are done learning them, fundamentals are primary ideas and skills that you can practice for the rest of your life). And in many senses of the word, I saw this Advanced Training course as a fundamentals class both for the students and the teachers. While the class for me was not tons of new information, it was a really good review and deepening of existing knowledge, getting to see it presented through the view of 30-year-veteran Rolfers which is something that never fails to leave me with new angles or ideas to think about. 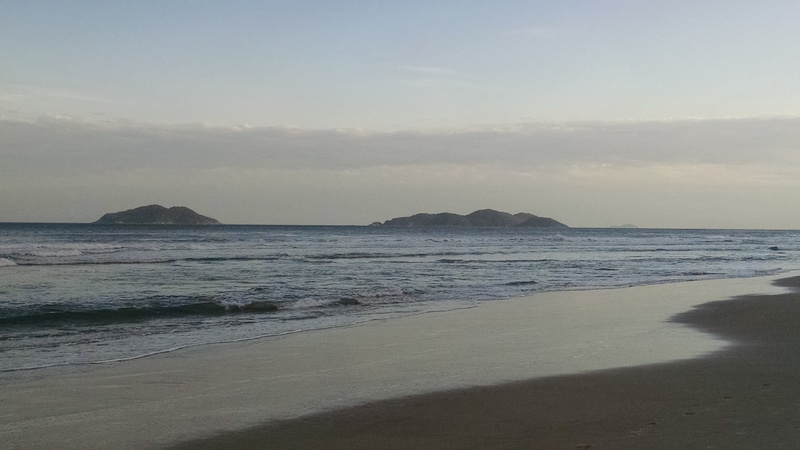 The training was held in the island city of Florianópolis, Brazil. This was the first of two rounds of 3 week apiece, 4 days of class, 3 days off per week. Class was taught by Lael Keen with Karen Lackritz assisting. Lael and Karen taught primarily in English with a translator, Dieter, translating to Portuguese with assistance from the class, the majority of whom were at least bilingual in English and Portuguese. There were 8 other students, 2 Americans and 6 Brazillians, all female. It made for a curious book-ending of this year with the Scarwork class I took in January and this class in November being cases of me in a class of all women. The general format of class was covering material (feet, spine, anatomy, functional movement, practicing techniques, etc.) for the first 3 days each week, then watching both Lael and Karen do a demo of a full session on an outside client (two other Advanced Rolfers from the local area), then Thursday afternoon each week we traded a session with a classmate for a series of 3 sessions. In my experience, Brazil has also been particularly amazing at feeding classes, so we had coffee/tea breaks in the morning and afternoon and for the class days we had hired a local chef, Tito, to prepare lunch as well. 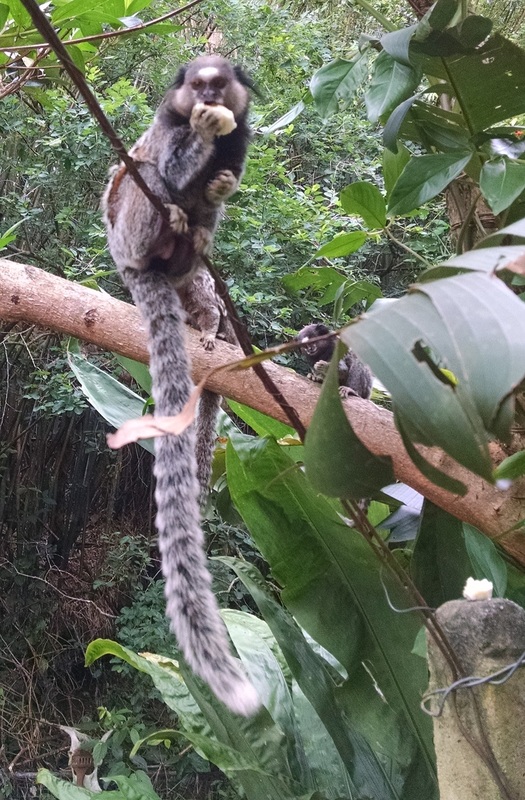 There were monkeys at my house that would come begging for bananas. They only want bananas and will give you funny looks if you try to give them mango instead. One of the first things I recall seeming important to Lael’s class plan, and one of the things that drew me back to Brazil, was a strong emphasis on the inter-connectedness of structure and function. Or perhaps more accurately, a clarifying that structure and function exist in a co-dependent fashion and one cannot affect one independent of the other. 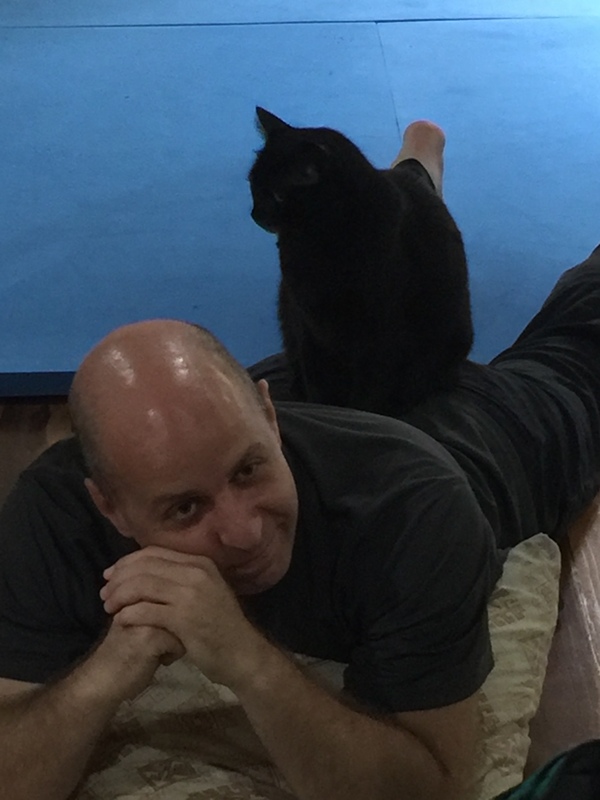 While all the Rolfing training I have received has worked with form and function together, the trainings I have been to in Brazil somehow seem to take it a little deeper or make that relationship a bit more of a primary focus than some of the trainings in the US. And the primacy of it in this course helped me gain some better insights into when it might be more effective to start approaching an issue with a structural intervention vs a functional one. Ida Rolf used to carry a question for students of “Where would you work if you could only work on one spot in the body?” and her answer for herself was the 12th rib. The lateral arches of the feet support the medial arches, Lael had some great anatomical slides and illustrations for this which I had not seen before. A general review of spinal mechanics gave me some points about the vertebral facets to think about which I had lost track of somewhere in the last few years. Time spent digging into the concept of hapticity (or the more-fun-to-say hapticidade in Portuguese), a sort of combination of sensing and moving at the same time and letting the two influence each other. One of those fundamental skills that I expect to be developing and deepening for the rest of my life. Some new-to-me ideas from Lael about using interpersonal relational tactics to help clients integrate movement options into their interactions with the world. We got a fairly high-level introduction to Ron Murray‘s work with Lemniscate movement which I haven’t explored much with clients, but am interested in exploring deeper at some point. There is a curious energy that arises with these sort of longer-form trainings. I’ve only experienced it as a student so far, not as a teacher, so I don’t have a complete picture but there seems to be a quickening of transformation that occurs. I have often said that one of the things I loved about competing in dance was that involving the energy of a support crowd clapping and cheering can spur dancers on to a level they rarely or never achieve on their own. And I find something similar happens with Rolfing trainings as though the combined group’s energy supports us changing or growing in ways we might not have on our own. This energy seemed to be in full swing by the third week of training. Lots of us were having some very deep and meaningful shifts in our ways of being. Some blossomed, some struggled, I experienced an incredibly vulnerable heart opening moment in front of the class where I’d pulled away from a similar moment in my Unit 2 training 7 years ago. One of the instructor demo sessions involved a client reliving the birth of her child via C-section and I cried as my own pelvis mimiced the release patterns of the woman on the table. Even the class format itself shifted mid-week to accomodate a need for more integration time amongst the bodies in the classroom. In the final week of class I was thinking about how to identify a theme to the whole module and the words that came to mind were “outro lado”, Portuguese for “other side”. Those words stuck as a good descriptor for the shifts I had watched occur in myself, classmates, and even translators and teachers over the prior two weeks. Each of us delving into some other side of our personalities or our work that diverged from our normal preferences but brought us into a greater potential for balance and adaptability. And it came with a gentleness and acceptance that I could only put together as “Welcoming the Other Side”. 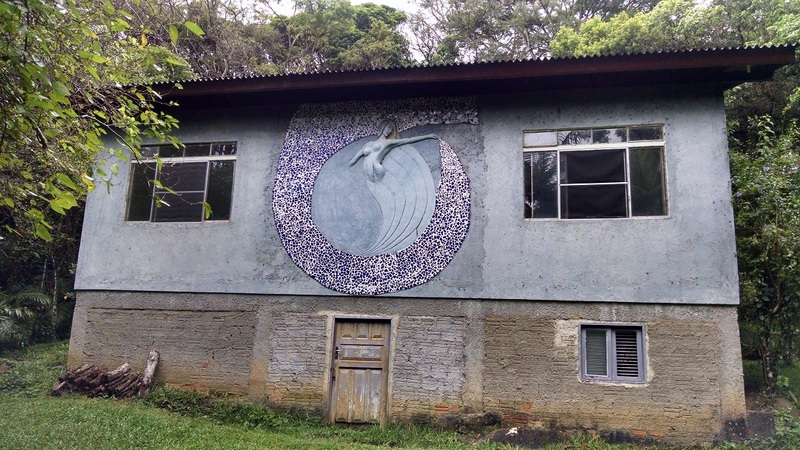 The house I rented during the traing happened to be owned by a local artist who had decorated the house with carvings, murals, and various canvases. The great feature mural of the house was one of the living room walls which boasted an entire wall painted with the mural above, reinforcing that idea of the other side for my experience of Brazil. On my last day in Brazil as we had breakfast and chatted about the house he mentioned that he had completed the mural in a day and had always wanted to go back and finish it. I shared the idea I had heard that a painting is never completed, you simply stop working on it (apparently the quote is typically translated “Art is Never Finished, Only Abandoned” – Leonardo DaVinci). We diverged into discussing the course and how Rolfing is like watercolor in the sense that you take a stroke, then leave it alone for a while allowing the colors to bleed out into the person’s life, then repeating the process session by session. My host thought for a moment, then disappeared into his workshop as we were leaving, returning with this beautiful watercolor as a gift to mark our discussion. Being unprepared to transport paintings and having no suitably large books, I managed to get the painting safely home, tucked between the keyboard and screen of my laptop. As I’m finishing this post it’s the beginning of January, just over a month since I boarded a plane home from Brazil. It seems at once very recent and yet long ago and far away that I was sitting down to Thanksgiving dinner with my classmates on the last day of class (yes, we graduated Round 1 on what would be Thanksgiving Day in the U.S.). Brazil took me deeper than I expected in directions I had not anticipated, but it has definitely left it’s mark in ways that continue to improve my work with clients and my relationship with my own body. I’m looking forward to further explorations, new inquiries, and super grateful to be returning for Round 2 in April!